The young stars of “The Hunger Games” are not having any trouble finding work these days it seems. Deadline is reporting that Josh Hutcherson is negotiating to star with Benicio del Toro in “Paradise Lost,” a drama about notorious drug kingpin Pablo Escobar. The film was written and Andrea di Stefano (“The Life of Pi”) and will be his directorial debut. If all things go well, this will not be the first time Hutcherson will work with del Toro. Hutcherson and del Toro worked on the 2012 anthology film “7 Days in Havana,” which was a co-production between companies in Spain, France and Cuba. In that film, each of the seven days is directed by a different filmmaker. One of those seven is del Toro, who directed the first day segment in which Hutcherson played an American film student in Havana, Cuba, for a film festival. 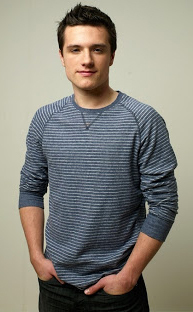 Until the Nov. 22, 2013, release of “The Hunger Games: Catching Fire,” fans can catch Hutcherson’s voice in the upcoming animated film “Epic.” Catch the trailer HERE.